Deal Phase 2 Opening in June 2019! New Construction Specials include FREE Early Move In and a $300 Visa Gift card! Call or email to learn more! Stop by the brand new clubhouse and reserve your home today! 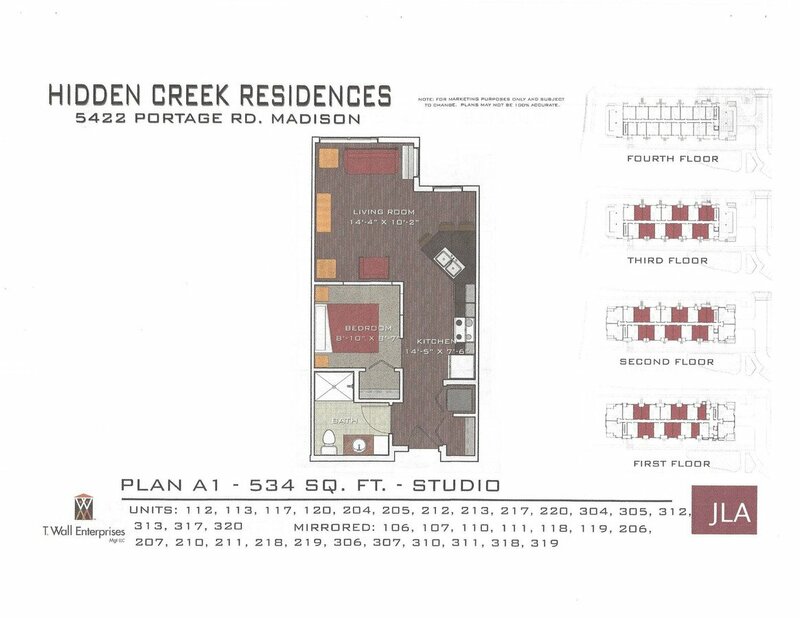 The new and charming Hidden Creek Residences introduces prosperous living to the nature of Bluff Acres with studio, one bedroom, and two bedroom floor plans. Residents will enjoy luxury apartment homes detailed with 9′ ceilings, stainless steel appliances, private balconies and 2 tastefully decorated rooftop patios. Find serenity amid your busy life at Hidden Creek Residencies. Take one step outside of your apartment and enjoy Wisconsin’s beautiful seasons by walking the trails, biking the City path to Sandburg Woods or nearby-parks, and relaxing on the open green space with your family and friends. 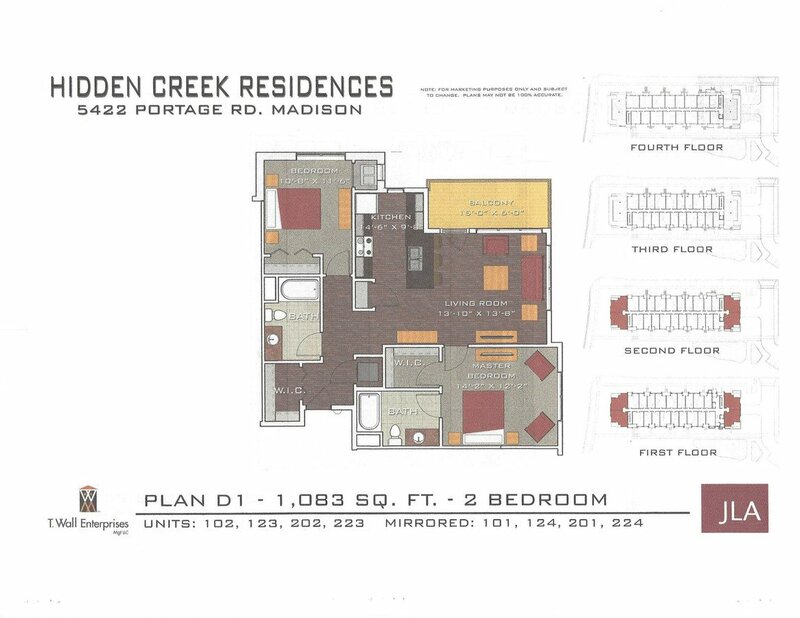 Easy living at Hidden Creek also brings you a gorgeous clubhouse, complete with a game room, state of the art fitness center, a quiet library, and a relaxing pool and hot tub, all coming in Phase 2 of this beautiful development. Daily errands and commutes will be a breeze with our close proximity to shopping, dining, and interstate 90/94 and Highway 51 and 151. 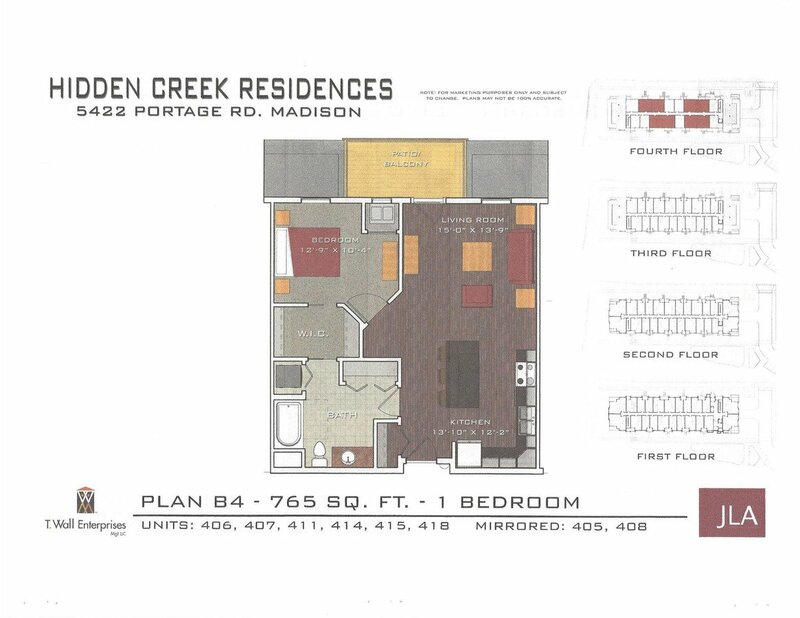 Discover convenience, premier living, and happiness at Hidden Creek Residences. Enjoy the life that you deserve! 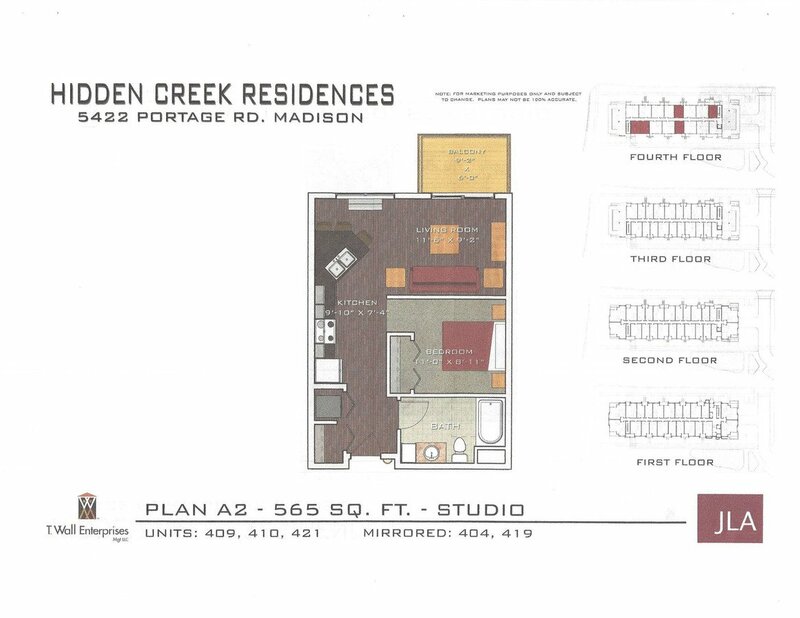 Hidden Creek Residences is a Madison apartment located at 4603 Diloreto Ave. 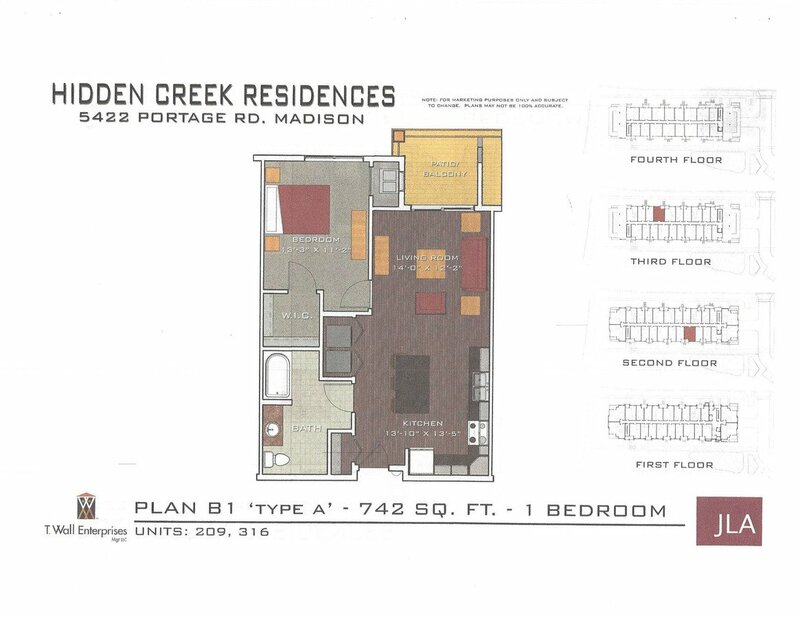 The property features 24 unit types ranging from studio/1 bathroom to 2 bedrooms/2 bathrooms with rent ranging from $1019 - 1279; the market average ranges from $944 to $1,369 for studio and 2 bedroom apartments, respectively. 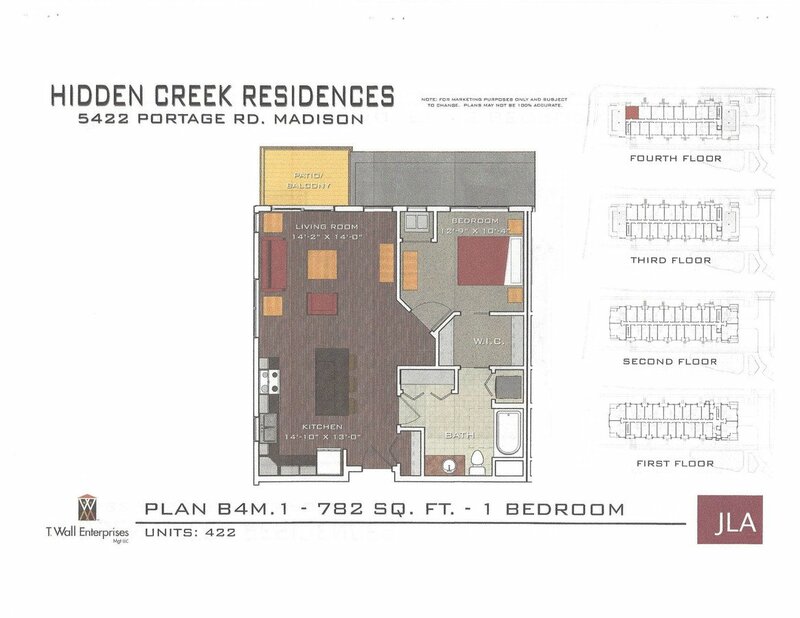 Hidden Creek Residences is located near the Carpenter-Ridgeway neighborhood just 4.04 miles from the center of Maple Bluff and 1.94 miles from Madison Area Technical College. The property has a Walkscore of 11, so you will probably be driving or taking public transportation most of the time. Hidden Creek Residences has many shops nearby. Coffee shops in the area include Cool Beans Coffee Cafe, Starbucks, Einstein Bros. Bagels. There are a number of markets in the area include Target, Walmart, Hy-Vee. This area of Maple Bluff has many restaurants and bars nearby. Restaurants in the area include Courtyard Madison East, Buffalo Wild Wings, Subway. And there are a number of bars in the area include Bowl-A-Vard Lanes.